We are very pleased to announce that Dr. Tracy Wong has been appointed our new Youth Choir conductor and will start working with our singers in September. Tracy takes over from Amanda Brunk, who is leaving the youth choir after eight years at its helm. Tracy met youth choir singers during a trial rehearsal earlier this spring. Tracy is a choral conductor, music educator and composer with an impressive resume. She holds a Doctor in Musical Arts (Choral Conducting) degree from the University of Toronto under the tutelage of Dr. Hilary Apfelstadt, after obtaining a Master in Music Performance (Choral Conducting) at the same institution. At U of T, Tracy was the co-conductor of the Women’s Chorus, and assistant conductor of Women’s Chamber Choir and MacMillan Singers. Tracy is also the assistant conductor of Hamilton Children’s Choir, and a two-time recipient of the Elmer Iseler National Graduate Fellowship in Choral Conducting. She has a degree in piano performance from the University of Newcastle, Australia, and was a member of the University of Newcastle Chamber Choir, which was Australian National Champions for the Australian Broadcasting Corporation Choir of the Year contest in 2006. 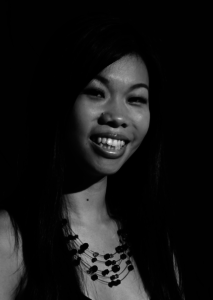 She holds diplomas in piano performance and voice from the Australian Music Education Board and Trinity College, London. She has led choirs in Malaysia and Canada, including the Kuala Lumpur Children’s Choir, University of Toronto Women’s Chorus, Young Voices Toronto, and Mississauga Festival Youth Choir. Her choral works have been published and performed by Malaysian, North American, and European choirs. Before moving to Canada, Tracy worked in Malaysia for seven years as assistant academic director or the Young Choral Academy Malaysia. While there she was conductor or artistic director of several award-winning choirs including Kuala Lumpur Children’s Choir, Naturally Vocal Youth Chamber Choir, Harmonix Youth Choir and assistant music director for the Young Kuala Lumpur Singers. She has conducted workshops for choirs in Malaysia, Brunei, Canada, France and Portugal, and performs in an award winning pop and jazz quartet.